If you need to transport carpet around your factory with ease, then look no further. 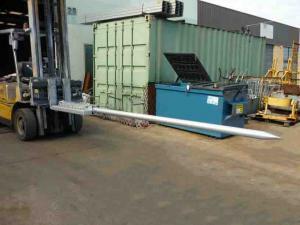 Our forklift carpet poles are the perfect attachment for your vehicle today. At DHE Materials Handling Equipment, you can be assured that all our tools and attachments are safe and durable so that you can complete any job safely and conveniently. Our carpet poles are available in multiple lengths to ensure that you are able to carry carpets of various sizes and weight ranges. These attachments eliminate man-handling heavy products, which means that your workers are able to conduct heavy or potentially risky tasks in an easier and responsible way. If you would like to find out more about our full list of carpet poles, get in touch today. Slip-on forklift carpet poles convert a standard forklift truck into a specialist handler suitable for fabric, carpet, cable and coil products eliminating manhandling of a heavy, unstable product. 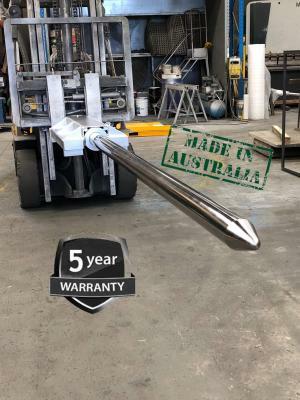 This carpet pole quickly adapts to almost any forklift and require only the connection of a safety chain to prevent unintentional disengagement. 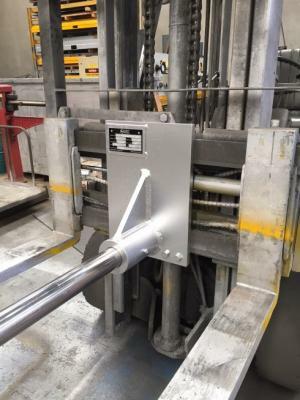 Entry into the product being handled is simplified with the smooth, tapered tip of the forklift spike and the wide faceplate protects against damage to the product during transportation. The carriage mount forklift carpet poles are suitable for carpet, vinyl, fabric or similar products. Fitted with “quick release”, mounting locks provides a safe and easy connection to the forklift carriage, saving time and eliminating the need for any tools. Forklift spikes are manufactured from high tensile steel with an enamel paint finish. 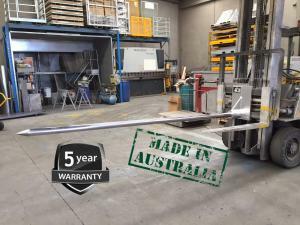 All DHE Materials Handling Equipment forklift carpet pole attachments have been designed and manufactured in accordance with Australian standards as 2359.15. To get your hands on a new Forklift Carpet Pole, call our team.